Oh yeah! This is still a thing, y’all! Woooo! I know it has been some time since the last big update, and I’ve been asked some variation on “When the hell is this game coming out on Xbox One?” a lot since then. The short version is: I still don’t have a date for that! But a lot of work has been done on Super Slam Dunk Touchdown, and the Pre-Season update for PC is almost ready. I could talk at length about everything I’ve had to do to whip this project into shape, but suffice to say a lot of code was fixed and organized in addition to creating all the new features and improvements. I’m currently working on the AI pathfinding which has always been a bit sketchy. After this, and a lot of testing, the Pre-Season update will be ready. I took a trip a few weeks ago to visit Three Flip Studios, creators of Armed & Gelatinous. Working together in their office, we were able to get data saving and loading on the Xbox One. This was a big step, as saving progress in Season Mode is pretty fundamental! After the Pre-Season update, I’ll be diving right in to saving real SSDT game data on the Xbox One. Getting all the game options, controller configuration, and season data saving and loading is the next big milestone. After that, there are a few more milestones: Stats & achievements on Xbox One, suspend/resume, in-game unlockables, and of course completing Season Mode. 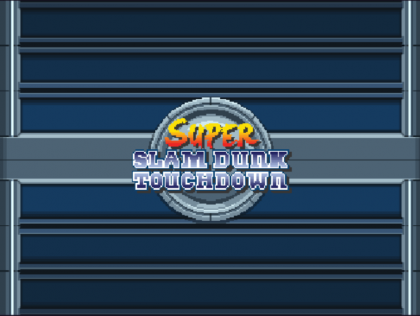 Once all my Xbox checklist items are complete, Super Slam Dunk Touchdown will finally be submitted for approval and release. It has been a very long journey, and there’s finally a glint at the end of the tunnel. Thanks for reading, and thanks for your support!